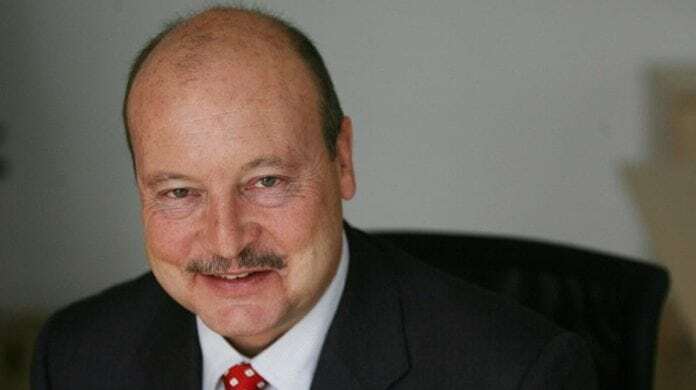 JOHAN Dippenaar is to end his 12 year association with Petra Diamonds after the UK-listed firm announced today it had started the search for a successor. The announcement comes amid Petra’s 2018 financial year-end results in which the firm’s rigorous, multi-year growth strategy continues to leave its mark: the group posted a taxed loss of $203.1m (2017: +$20.7m). The loss was largely down to impairments totalling $159m for the year at its 75.9%-owned Kimberley Ekapa Diamond (KEM JV), and at Koffiefontein. The former is to be sold for R300m ($20m) in cash. Petra is carrying high debt, although off its peak levels. Net debt was $445.7m as of June 30 following a $178m ($170m net) rights issue in June. Excluding the rights issue, net debt was reduced to $615.7m as of June 30 compared to its peak level of $644.7m as of December 31. The company has long earmarked production of five million carats yearly. Production in the year under review was 4.6 million carats (2017: four million carats). For the current financial year, production is set for guidance of 3.8 to four million carats after production of 718,635 carats for July and August (which annualised is 4.3 million carats for 2019). Capital expenditure for the year is expected to be $93m “… continuing the declining trend since peak capex was reached in FY 2016,” the company said. “Johan has led Petra through a long period of significant growth, taking the company’s annual production from approximately 175,000 carats in FY 2006 to 4.6 million carats in FY 2018,” said Adonis Pouroulis, chairman of Petra in a statement of Dippenaar’s departure. A successor would be appointed “in due course”. Dippenaar would continue in the current role to “… ensure an efficient handover,” said Pouroulis. Petra is also reviewing its management structures more broadly including the board itself. New non-executive appointments were in the works with a view to making an announcement in October. The aim was to strike a mix of “expertise and skills”, the company said. The total loss on the KEM JV was $104.3m consisting of $92.7m in impairments and a trading loss of $11.6m for the year. Including a $66m impairment on Koffiefontein – which Petra said was positioned for an improvement this year – Petra booked a net loss of $203.1m for the year, and a basic loss per share from continuing operations of 15.85 US cents/share. Commenting on prospects for the current financial year, Petra said that it was considering hedging the rand. “The recent ZAR:USD weakness has provided favourable hedging opportunities and the board is reviewing the potential to take a longer view and increase percentages of US dollar denominated sales covered,” it said. There was no apparent progress at Williamson, the Tanzanian mine Petra operates, after government 12 months ago blocked the export of a parcel of goods valued by Petra at $14.8m but which the Tanzanian government said was $29.5m and therefore had been under-reported. Petra is also waiting on VAT refunds from the Tanzanians. Shares in Petra were up just over 2% in the first hour of London trade today but on a 12-month basis they are some 26% weaker. At 3753 pence per share, the market capitalises Petra at some £316.5m.